MISSOULA – A team of scientists led by University of Montana cell biologist Mark Grimes has identified networks inside lung cancer cells that will help understand this cancer and fight it with drug treatments. 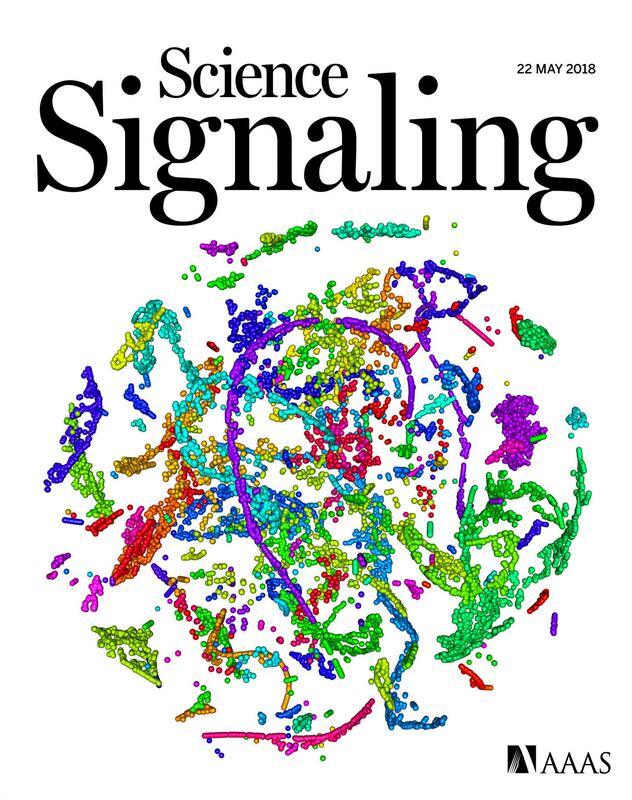 The paper, published as the cover article of the May 22 issue of Science Signaling, sheds light on how a new class of drugs called HSP90 inhibitors – which are currently in clinical trials – works to fight cancer. It is the first large-scale study to analyze three different kinds of protein modifications simultaneously while also employing new methods that involve mathematical and computational approaches and networks to analyze these data. The paper, titled "Integration of protein phosphorylation, acetylation, and methylation datasets to outline lung cancer signaling networks," is available online at http://stke.sciencemag.org/content/11/531/eaaq1087. The study began with scientists at Cell Signaling Technology, who collected a large amount of data from lung cancer cells. The approach to analyze the data builds on previous work from the Grimes laboratory (see Missoulian May 13, 2015; http://bit.ly/2jv7nQ5). The study looked at 45 different lung cancer cell types and compared their modified proteins to normal lung tissue. To make sense of the large amount of data, sophisticated pattern recognition techniques – including machine-learning algorithms – were used, and patterns in protein modifications were combined with protein interaction networks to define cell signaling pathways in lung cancer cells.